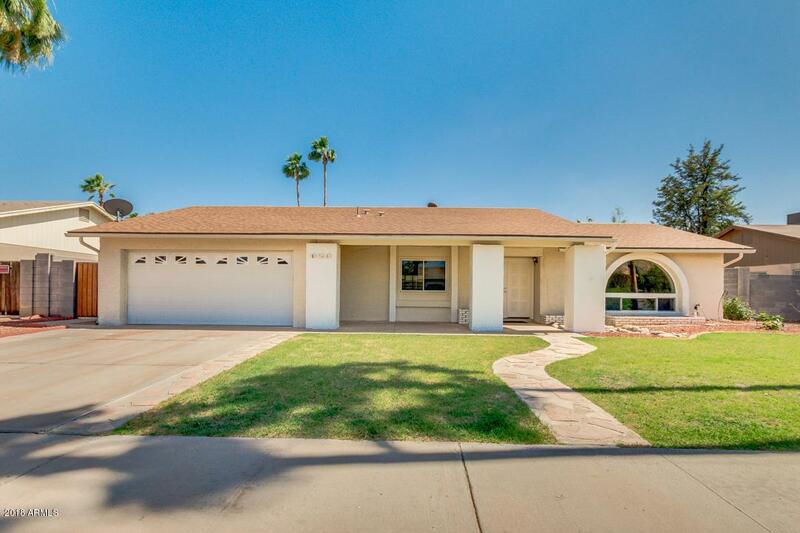 Fully remodeled, fresh new paint and large backyard with diving pool! 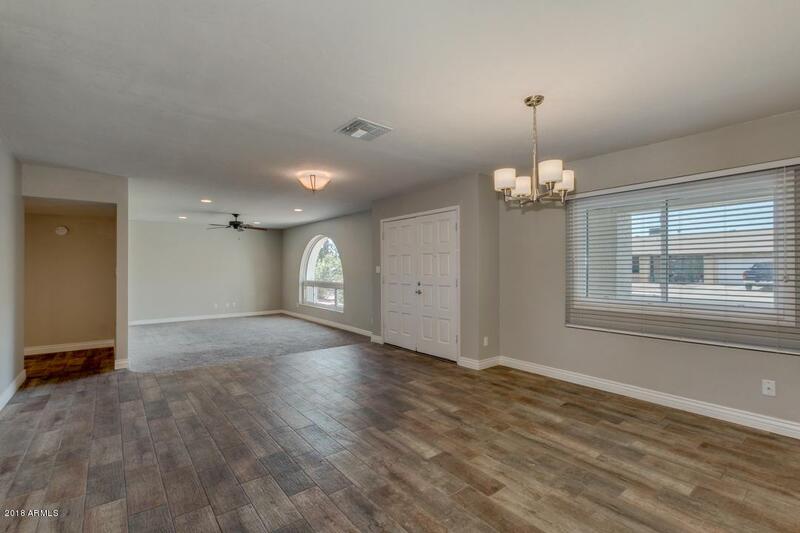 Wood tile flooring throughout. 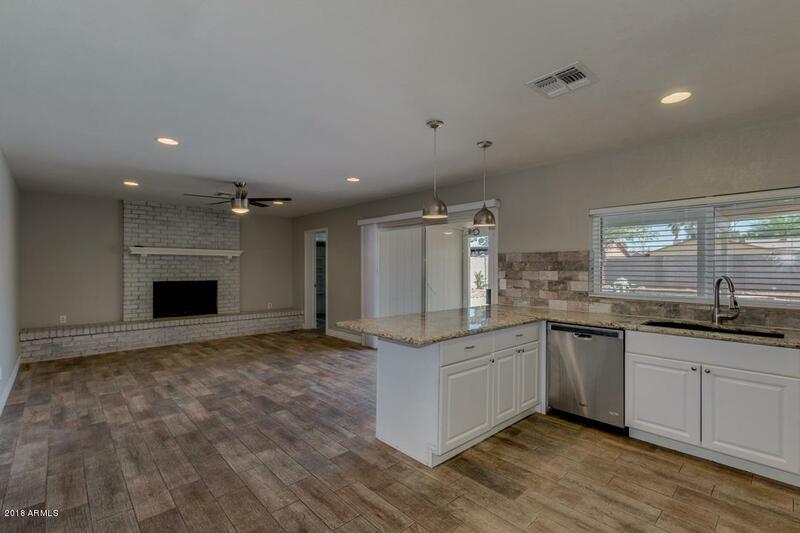 Beautiful kitchen with granite countertop, backsplash, cabinets and stainless steel appliances. 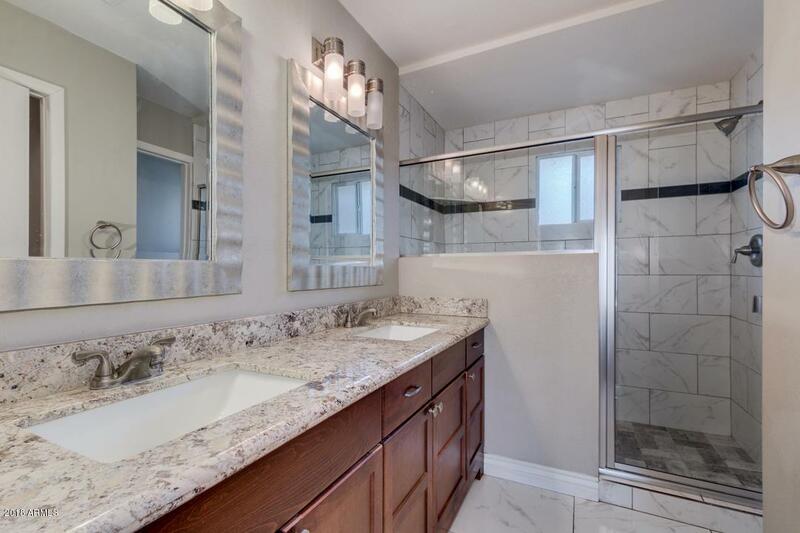 Both bathrooms include double sink, granite countertops, gorgeous cabinets and shower surrounds. Private toilet in masterbath. Fireplace. Ceiling fan in each room. Granite countertop and cabinets in hallway for extra storage. Inside laundry room. Extra storage space in garage. Extended covered patio and large diving pool in backyard. Covered patio, built-in planters, designed landscape with unique walk path and slab at front. From side gate, you have access to backyard directly. This will not last long! Don't miss an opportunity to live in a house like this one!